2017 definitely had some ups and down. The first half of the year was amazing! 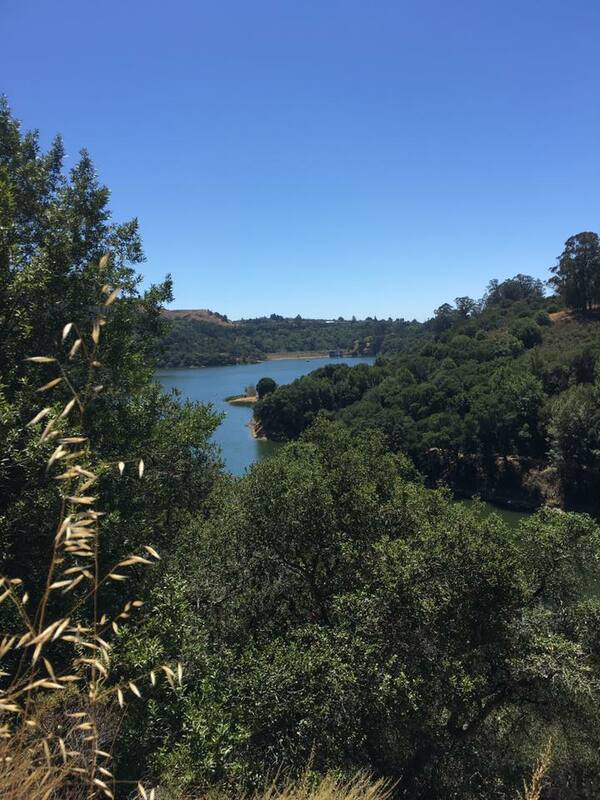 I was running, accomplishing the goals I had set out for myself and was really enjoying the year. July was another story. 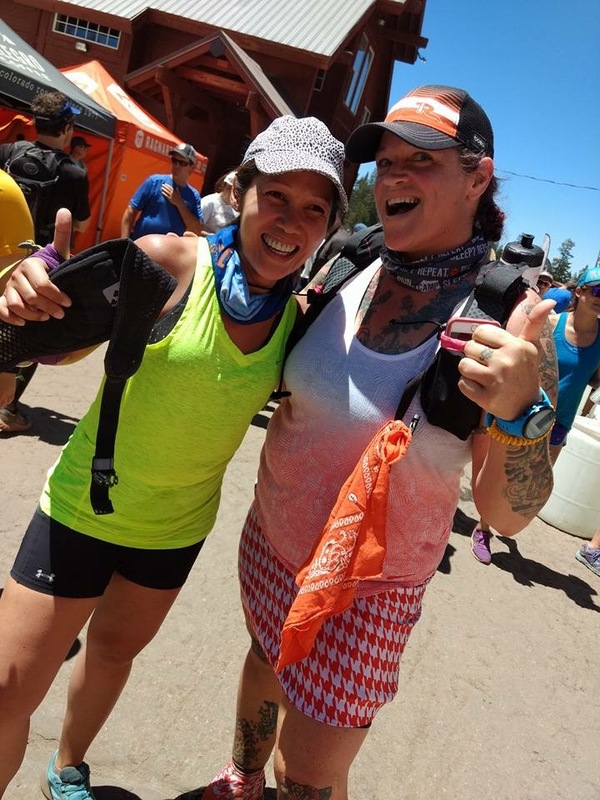 It all started at Ragnar Relay in Tahoe. 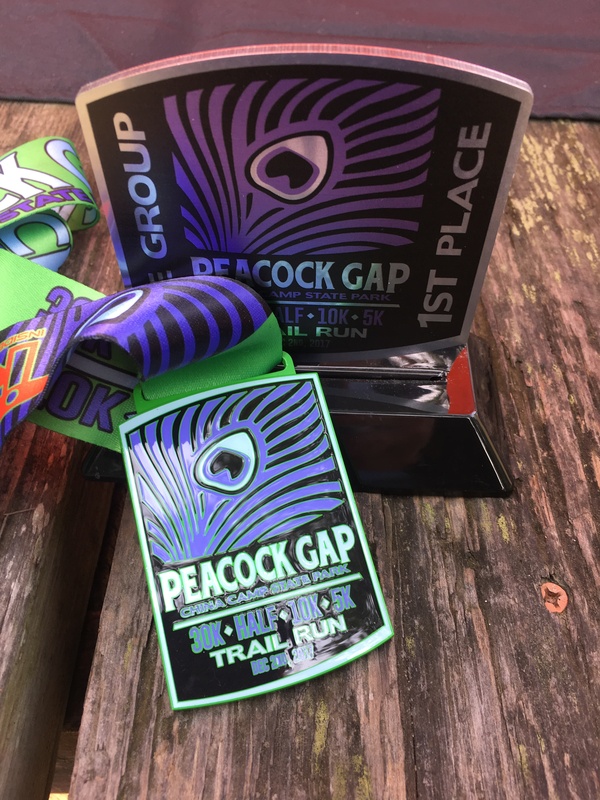 I was so looking forward to this, I’d wanted to do this relay for the past 4 years (when I started trail running) and it was finally happening! I was part of an amazing team and we were in it for the long haul. I was having such a great time until the yellow loop that I was doing at 1am. I was running along fine, having a great time and really paying attention to the ground (because it was pitch black, except for the odd headlamp here and there) and really feeling great. Once I got to the wide fire roads I let my stride take over and really started hauling – that’s when it happened. When I fractured my ankle and tore ligaments. I kept on running and finished my loop and the next loop that next morning. One week later I finally went to the doctor and found out what happened. I am so happy that I was able to finish the race with my team and get the coveted Ragnar Medal. I decided to use this time to heal my broken bones & ligaments and try to lose the weight I’ve been trying to take off for 4 years. 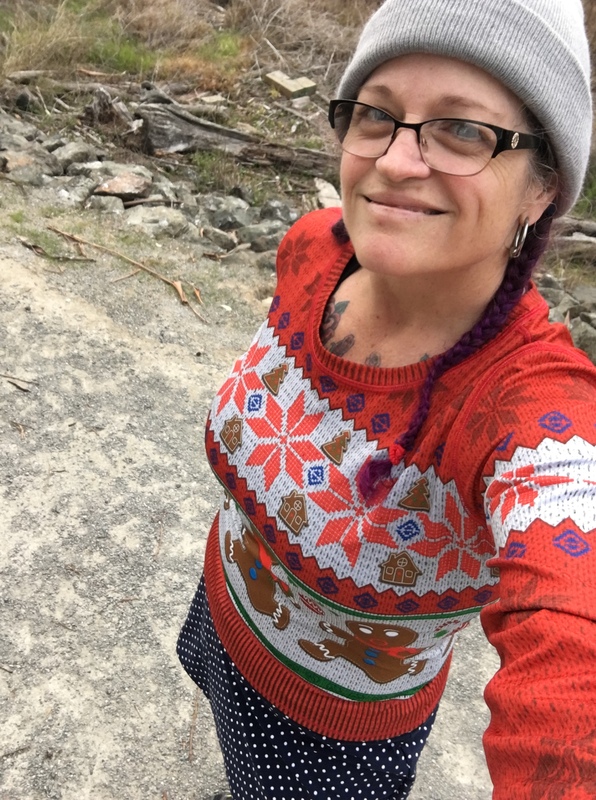 I joined a special weight management group through my hospital and have lost 45 pounds so far and have slowly started running again. I have to be a bit careful because I am only intaking 960 calories a day unless I am running more than 4 miles then I am adding in an additional 160 calories. I feel so much better now that I’ve lost 45 pounds but there is more that needs to come off. (resolution for 2018). What are my 2018 resolutions? Well, for one thing I am going to start looking for another job. One where I can utilize my talents and passion on a daily basis, where I am happy to go to work everyday. There is a lot about my job now that is a struggle, it feels like it’s draining my joy & happiness everyday. I go to work and put on a happy face and leave my feelings at the door each and everyday. I don’t want my customers to suffer because of what’s going on in MY life. They shouldn’t have to pay for my unhappiness. Secondly, I am going to lose an additional 25 pounds which is going to greatly impact my 3rd and 4th goals this year. Losing the additional weight is absolutely doable especially with the support team I have and the amazing group I go to every week. I am so thankful for my group. 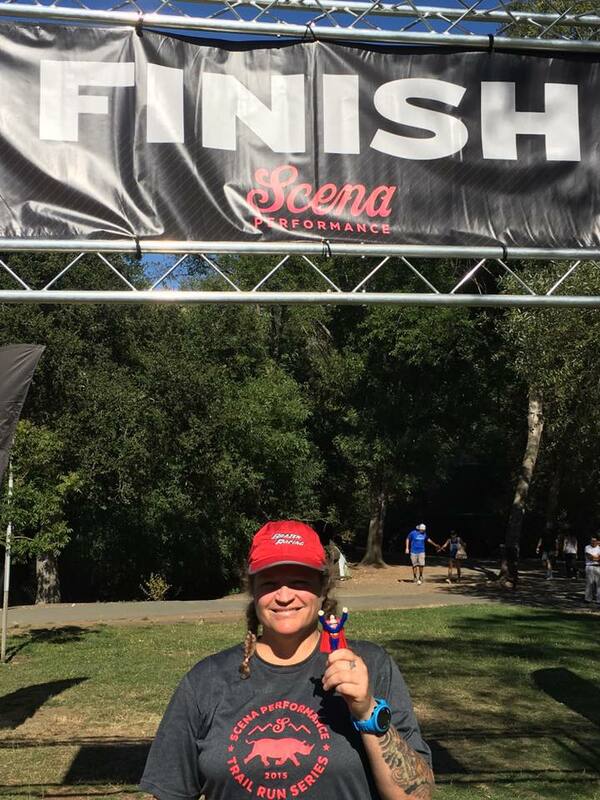 One of the first amazing things that have happened so far since I’ve lost the weight was winning a first place in my age group at a trail race. I was so surprised and happy to find out I’d won 1st place in my age group. Third goal for 2o18 is running a 3 day race in April. 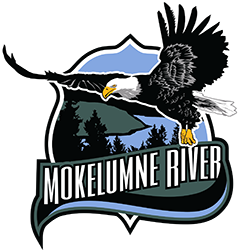 I am going to run Mokelumne River Trail Race. It’s going to be one of the hardest things I will have done so far in my running career. It’s a 1 mile fun run the first night, a 50K race the 2nd day and a 1/2 marathon on the 3rd day. I’ve hired a running coach to help me with training for this race along with my goal number 4. #4 and my big goal of 2018 is to run a 50 mile race in September. I wanted to to run this race last year but was sidelined with my injury. 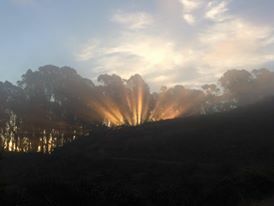 I am going to run Headlands 50 miler in the Marin Headlands, California. It is my favorite place to run and I know those trails like the back of my hand. I’ve run over there so much during the past 5 years. I love it there! Those trails hold a very special place in my heart. 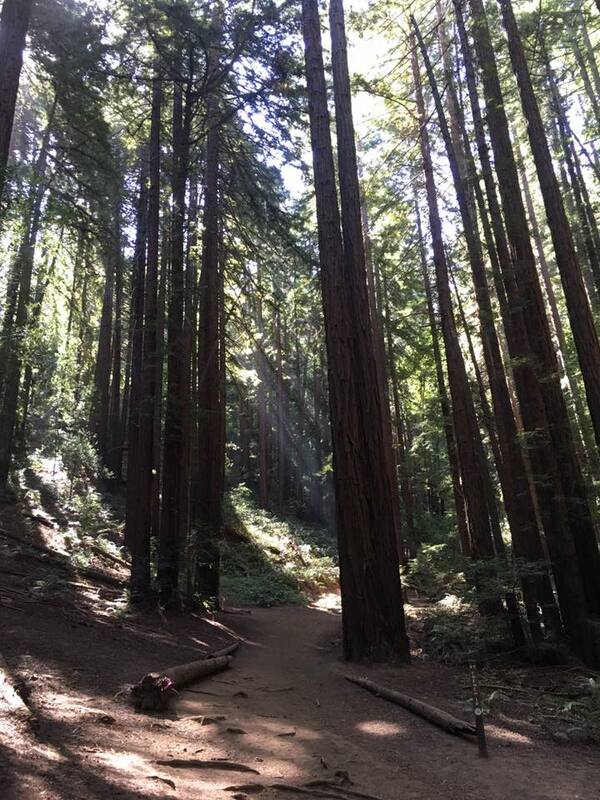 I love those trails and am so excited about this year and the adventures that await. 2018 is going to ROCK!!! Today is the day after my 3rd 50K and boy am I feeling it. This race is historic, the oldest running 50k in the US. 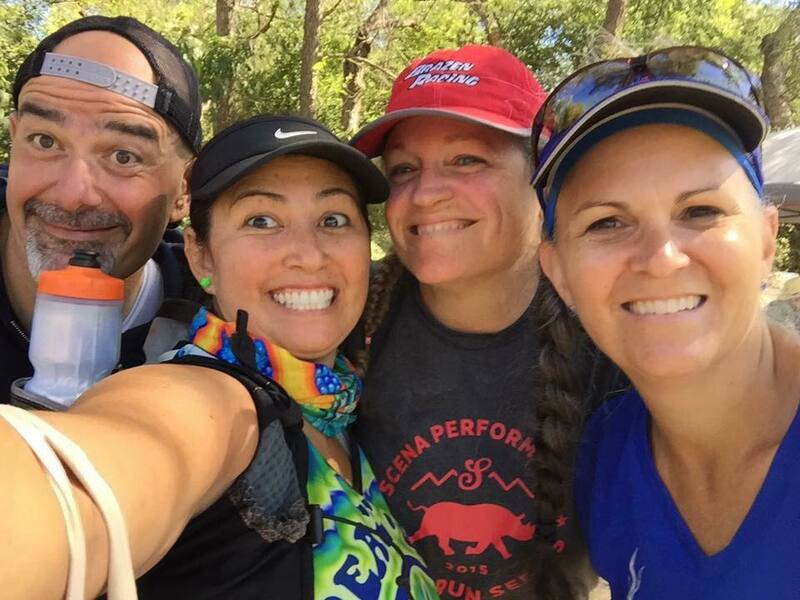 I’ve wanted to run this race for over a year, some of my friends were running it and I thought – what the heck! I was feeling apprehensive once committed because I’d been injured during my last 50K in December 2015 and haven’t been running at all until approximately April of this year. I hadn’t really been training too much or been getting any midweek runs in since May; I’ve been working 2 jobs. I started really putting in mileage over the past 4 weeks with 5 really long weekend runs. I believe it was the back to back weekend runs that really helped me pull through and finish yesterday however, I feel my hill climbing and cardio sure have suffered. The long runs I’ve done leading up to this race: Dirty Dozen 27.7 miles with 3 miles the following day. 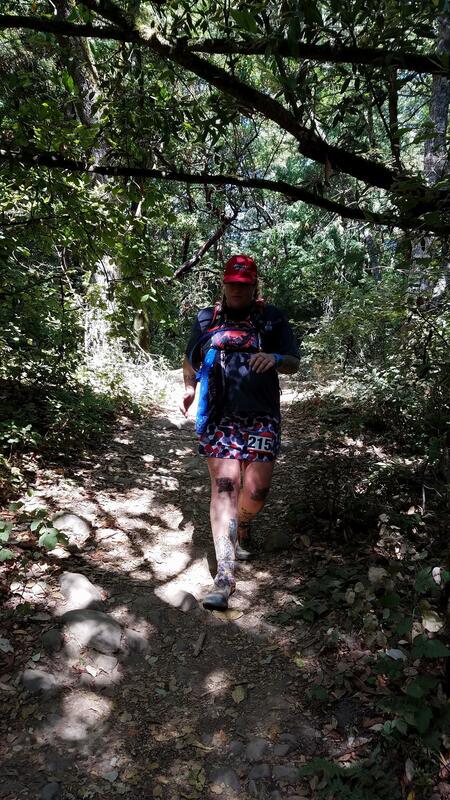 8 miles of the French Trail (course) and 13 miles the following day. 23 miles in the headlands with 3 miles the previous day. 21 miles the following week with a 5k the day before and last weekend I ran part of yesterday’s course (a part I knew was hard) 13 miles and that’s pretty much it. I don’t know if I am crazy or really strong or both – I am going with both! Yesterday came so quickly and I opted for the early start, I wanted to give myself an extra hour of cushion just in case I needed it. I didn’t start out too fast yesterday knowing I had a long day ahead of me and didn’t want to use up all my energy at the beginning. I started with 3 lovely ladies and quickly fell behind them but was quite happy to do so. I kept a nice even pace and was feeling quite happy for the 1st 5 miles. My one friend is much faster than I and quickly was completely out of site. 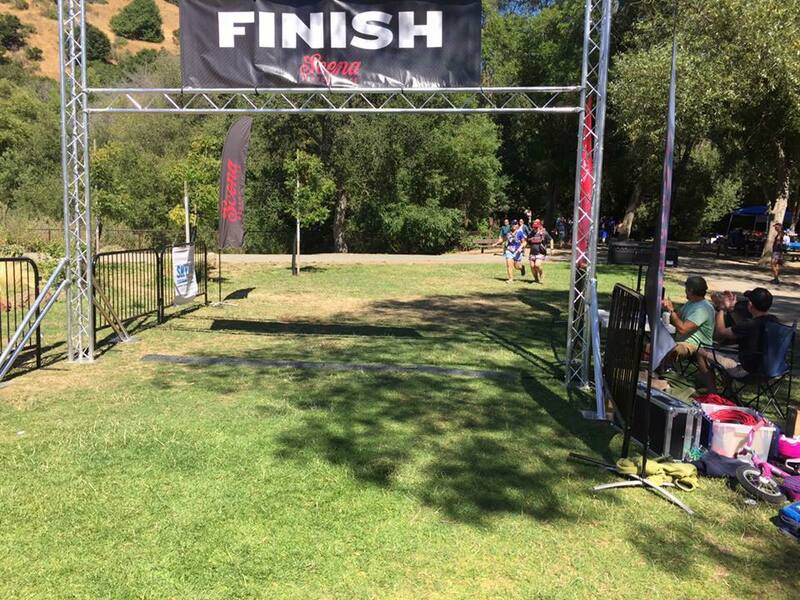 I knew that would happen and felt completely fine to run the whole course on my own. My 2nd friend went out pretty quickly at the beginning fell behind at approximately mile 8. When I got to Bort Meadows Aid Station I knew I had a huge climb ahead and didn’t want to wait for her because I was on a roll, so up I went. This was part of the course I had run the previous week and knew exactly what to expect. It was brutal but I got up and over in 17:51 which is huge for me! It was 1 mile straight up with 405 feet of elevation at a 5.3% grade. Whew! I came flying down the hill to Big Bear Staging Area and came upon the most wonderful group of Aid Station volunteers I’ve ever seen or heard. Dusty Bottoms. They were spot on, happy, energetic and super helpful. The nicest group of people EVER. Coming down a very technical part of the French Trail, I saw this gorgeous view and finally stopped to take my first picture of the course (approx mile 16). The climbing was beautiful with the sunlight coming through the trees. I ran through this part all the way back to the Dusty Bottoms Aid Station again. The next part of the course was going to kick my A** – I just knew it. Climbing back up and over the McDonald hill was so difficult. It was hot, exposed and I was tired. The climb started at mile 20 and it was a mile straight up and down to the next aid station. Even though it was difficult I kept moving forward and got my 3rd best time climbing that 1 mile up. It was 509 feet of elevation at 8.6% grade. It took me 22:31, not great but not too bad either. It’s here where I ran into a really good friend, boy was it nice to see a friendly face. I’d been running all by myself for the past 22 miles and it’s always nice to run with a friend. We stopped filled up our backpacks (actually the volunteers took my backpack, filled it up and then held it for me to put back on – AMAZING) with ice and had some slices of watermelons and we were off. She had a goal to reach 25 miles between 6:30 and 7:00 because she’s training for a 75 mile race in September. I picked up my pace and ran with her for the next 3 miles with a 13:00 minute average pace. I was surprised I still had so much gas left in the tank. Once we hit 25 miles she said she would let me lead the pace. She wanted us to finish and cross the finish line together. For the next 6 miles we averages between 12:00 and 14:25 minute miles. It was so amazing to have her there. She really pushed me and kept me going strong. At mile 28 I was losing steam but luckily we had an aid station there and were able to eat some more watermelon and begin our decent. The view at mile 28 was spectacular! The last 3.4 miles were downhill with rolling hills on pavement. I was pretty much spent at that time but kept on moving, thanks to my friend. I wanted to be sure to run across the finish line so I kept moving at a brisk pace. I didn’t want to think about anything but finishing. I had come so far and all I wanted was to cross the finish line with my friend. 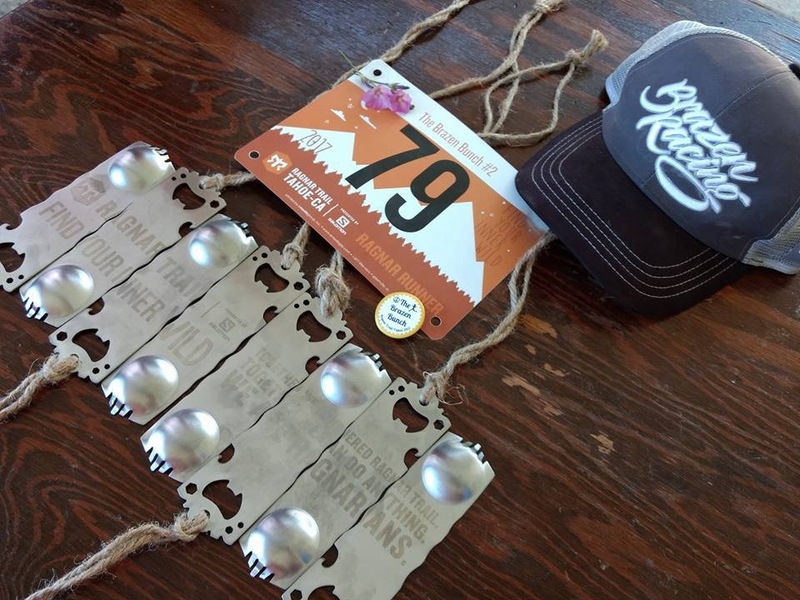 Here is the link to my Strava results from yesterday’s Skyline 50K!!! My 3rd 50K! Now, to start training for my 4th. Skyline to the Sea in October! Stay tuned for more.